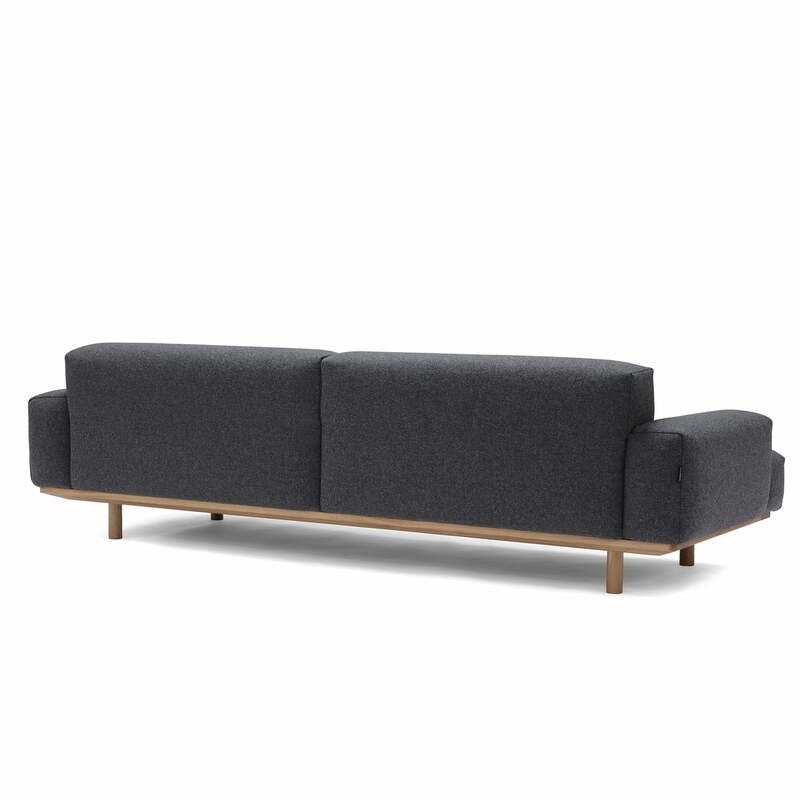 The low back and armrests and the generous upholstered seat combined with the exclusive framework in solid oak of the Reason sofa by bruunmunch, recalls the 50s and designs of Danish design icons such as Hans j. Wegner and Illum Wikkelsø. With the unusual materials and the high seating comfort, Peter Barreth takes sofa of the 50s into the present time. The rounded corners and edges and the soft padding invite you to linger. The frame made of plywood in combination with a seat frame made of solid pine wood is equipped with Nosag steel springs, which hold the refractory Oeko-Tex foam padding. The foam is covered with another layer of foam, which is responsible for the extra soft comfort. A stable base and the legs made of solid oak complete the look of the sofa. The sofa is also available with other fabrics and colours upon request, as well as optionally with an integrated chaise lounge. 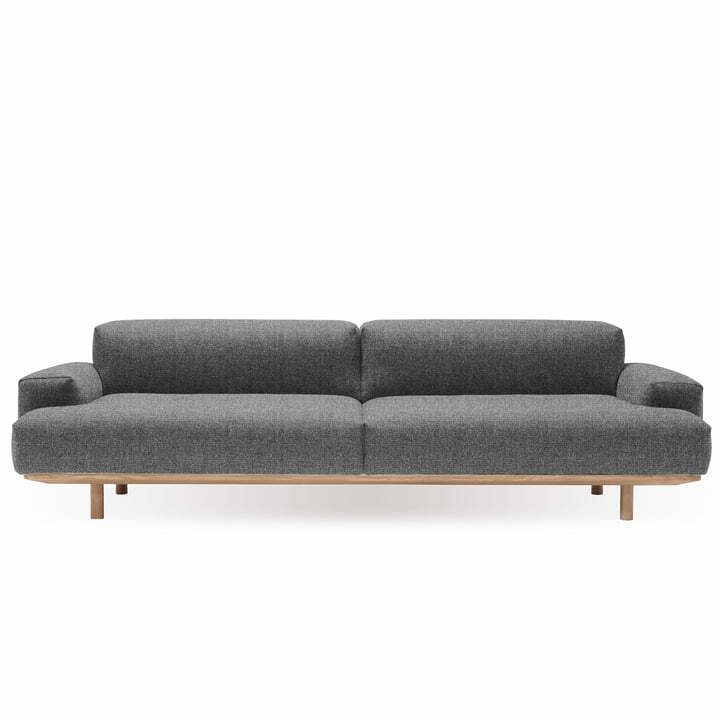 Individual image of the Reason 2.5-Seater by bruunmunch with Kvadrat fabric Rustic 136. The fabric cover consists of 56% cotton, 12% linen, polyester and viscose and 8% polyacryl.